From rows of smooth, hefty beefsteaks and bumpy piles of multicolored heirlooms to punnets overflowing with bite-size cherry and grape varieties, summer means tomato season. It’s a chance to appreciate the juiciest and most flavorful fruit before refrigeration takes its toll; even better if you can get it direct from the vine out of your own garden! As the name implies, this salad is a celebration of all things tomato. 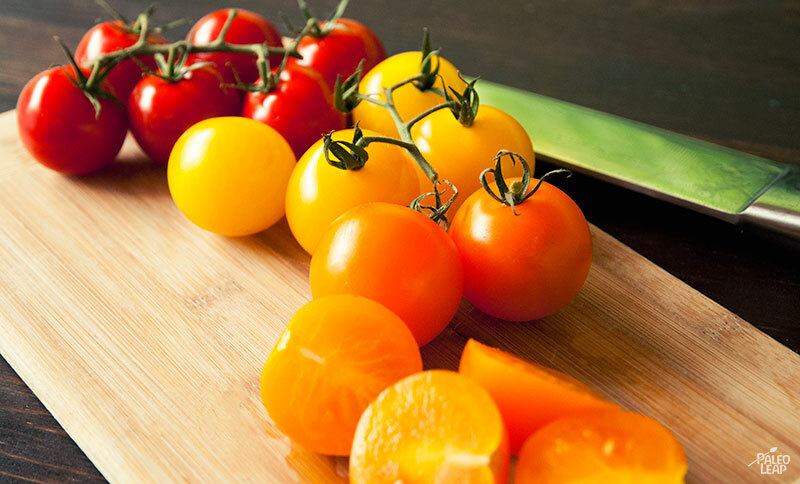 The ingredients suggest some varieties that would be tasty, but really, the best salad will come from any tomatoes that you can get fresh and ripe. Toss them with spinach, basil, and pine nuts for extra crunch and a rustic Italian flavor, and top it all off with a quick drizzle of olive oil and vinegar. If your personal take on Paleo leaves some room for dairy, you could also grate some aged hard cheese on top of the salad to add more flavor and round it off with a bang. But if dairy isn’t for you, don’t sweat it: the flavors will be delicious even without. This would be a perfect easy side dish for steak or a big juicy roast, or just throw it together to go with anything Italian and call it a night – and a chance to enjoy the tomato harvest while it’s here. Combine the olive oil and balsamic vinegar in a bowl. Stir until well combined and season to taste. 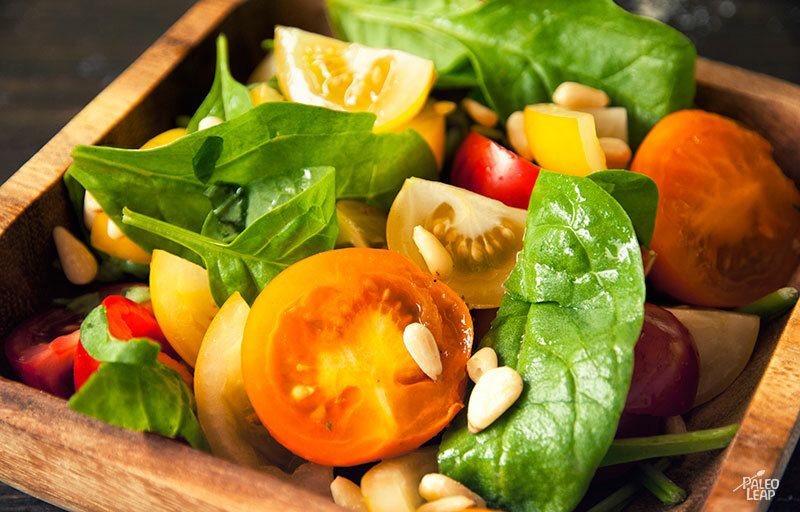 Combine the tomatoes, basil, spinach, and pine nuts in a large bowl. Drizzle the dressing on top, and toss gently to combine.